The most common form of acne usually develops during puberty. However, nothing is more frustrating when you suddenly start developing acne in adulthood. Hormonal changes during puberty cause the sebaceous glands to enlarge and produce more sebum. Hormonal changes during pregnancy and the use of oral contraceptives also can stimulate sebum production. Bacteria can grow rapidly in clogged skin pores. The mixture of bacteria, excess sebum and dead skin cells can cause swelling, redness and pus. 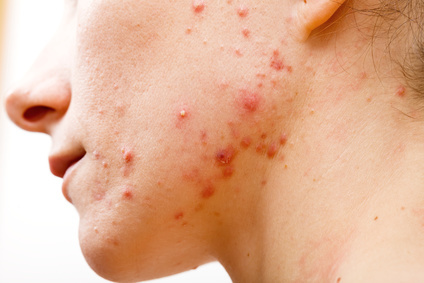 A recent study showed that in people with severe cases of acne, a specific P. acnes phylotype can be found on the skin that stimulates a certain type of immune response. Individuals with clear skin were shown to have bacteria of a different phylotype. Genetics plays a large role in whether you develop acne or not. If any close relatives suffered from acne in their teens, you are more likely to develop acne yourself. Although research isn’t completely clear on this issue, consuming a diet rich in processed foods and sugar tend to stimulate acne breakouts. High glycemic foods raises insulin levels and research suggests that high insulin levels stimulate oil-triggering male hormones. 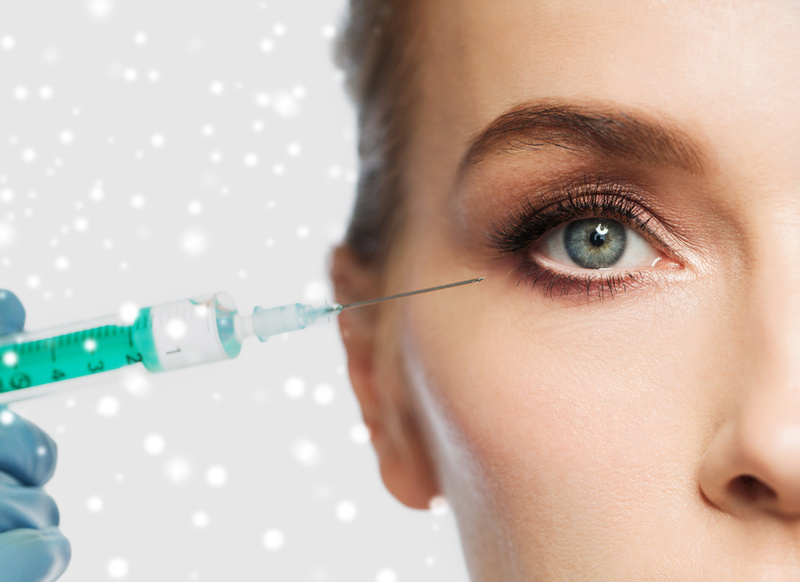 Your skin will be better off if you stick to low-glycemic foods, such as complex carbohydrates and whole grains that break down slower and raise insulin gradually. Saturated fat is not just bad for your heart, but has been shown to increase acne breakouts. A recent study showed that people who had a diet rich in saturated fat, had worse cases of acne than people who consumed less saturated fat. So limit your cravings for fries, cheeseburgers and fried chicken if you want clearer skin. Drinking a glass of milk can be fine for one and cause acne in another. There are no definite guidelines on this, but it may be that milk stimulates a rise in testosterone levels, which ultimately causes a breakout. When you’re under a lot of stress, the adrenal glands produce more cortisol and corticosteroids, which weaken the skin barrier and mess with your immune system. Increased stress hormones can also increase testosterone, which can stimulate the sebaceous glands to produce more oil. The products you put on your face can result in clogged pores. Try to avoid products containing silicones and mineral oil. It is better to use gel-based products or water-based products. Look for labels such as “non-comedogenic”. Also, you may be sensitive to other ingredients such as fragrances that can trigger an acne breakout. Lack of sleep goes hand-in-hand with a stressful life and can make acne worse in certain individuals. While it’s important to keep your skin as clean as possible, don’t overdo it. Too much washing and scrubbing can actually make acne worse. Dead skin cells mixed with excess oil and bacteria clog pores and can cause acne. To clear the skin of dead skin cells, use products that gently exfoliate the skin such as salicylic acid (a beta-hydroxy acid). Benzoyl peroxide, which can be found in many acne products, exfoliates the skin and kills bacteria. However, benzoyl peroxide is harsh and with chronic use will dry out and potentially irritate the skin. Certain clothes, such as tight-fitting clothes and clothes made with non-breathable fabrics can provoke acne in certain people. A workout at the gym could therefore be a trigger for acne. Do you enjoy a good workout at the gym? All that sweat, mixed with bacteria, dirt and oil, clogs up your pores and triggers a breakout. Don’t wait too long before taking a shower and if you notice you’re developing acne after a workout, use an exfoliating product such as Reverta’s Acne Spray. Certain medications are known to aggravate acne. These include corticosteroids, male and female hormones and lithium. 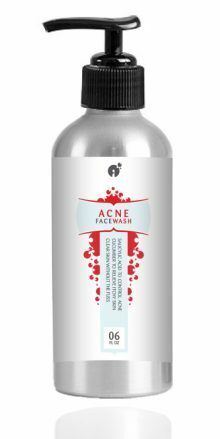 The detergents you use to wash your clothes can contribute to your acne problem. Ingredients in detergents never completely rinse out and anything left behind in your clothes or sheets can lead to sensitivity issues in some people. Yu, Y., Champer, J, Agak, G.W., Kao, S., Modlin, R.L. and Kim, J. (2016) Different Propionibacterium acnes Phylotypes Induce Distinct Immune Responses and Express Unique Surface and Secreted Proteomes. J Invest Dermatol. 136: 2221-2228. Burris, J., Rietkerk, W. and Woolf, K. (2014) Relationships of Self-Reported Dietary Factors and Perceived Acne Severity in a Cohort of New York Young Adults. J. Acad. Nutr. Diet. 114: 384-392. 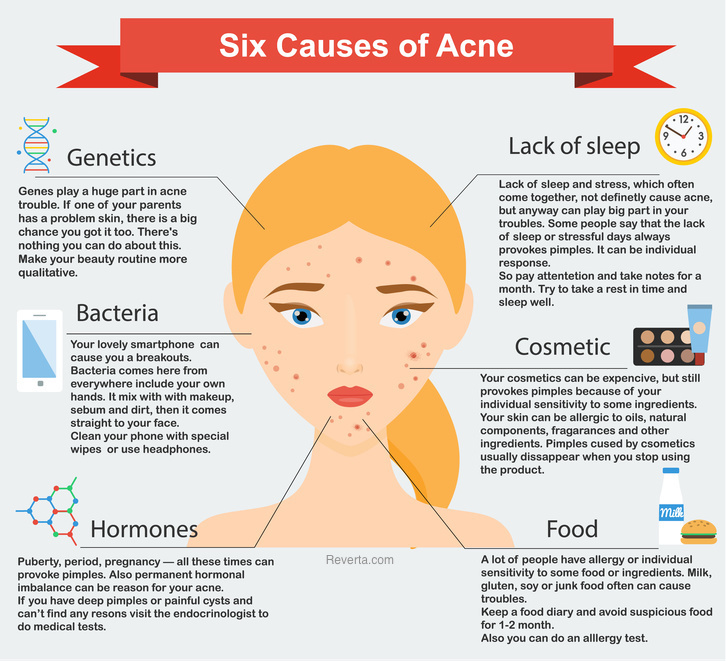 What caused your acne or made it worse? Let us know below. How Do You Know If You Have Seborrheic Dermatitis? 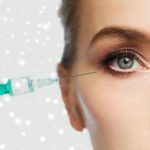 Do Deep Wrinkle Fillers Work?